On my fridge, you’ll often find a weekly meal plan written out on one of our magnetic boards. And just about every week we have some kind of pasta that’s made in the skillet or Instant Pot. 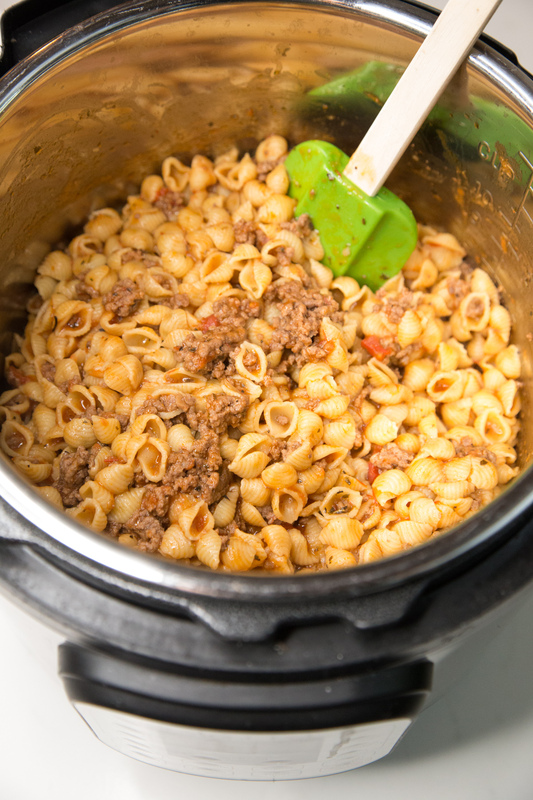 A “pasta skillet” can easily be made in the Instant Pot – you’ll get a better sense if you read the directions carefully – but in general, you saute the meat on saute mode and then add the pasta and liquid, close the lid and pressure cook. Just like you would brown meat, add liquid and pasta, put on skillet lid and simmer. Check out the complete directions below! And when you make it, you’ll end up with a delicious bowl-full of this! In the base of the Instant Pot insert, brown the ground beef with the minced onion and garlic powder. Turn off the Instant Pot. Drain, if needed, and return the browned ground beef to the pressure cooker insert. Mix in the crushed tomatoes, Parmesan cheese, Italian seasoning, and then add the small shell pasta and then the beef stock. Gently stir to get the pasta to be “underwater.” If it’s not all underwater, add some warm water 1/4 cup at a time until it’s all underwater. Cook on: Manual/High for 7 minutes. Once cooked, there might be some liquid floating on top. Just give it a stir and let it cool down and it will thicken up. Top each serving with shredded sharp cheddar cheese. 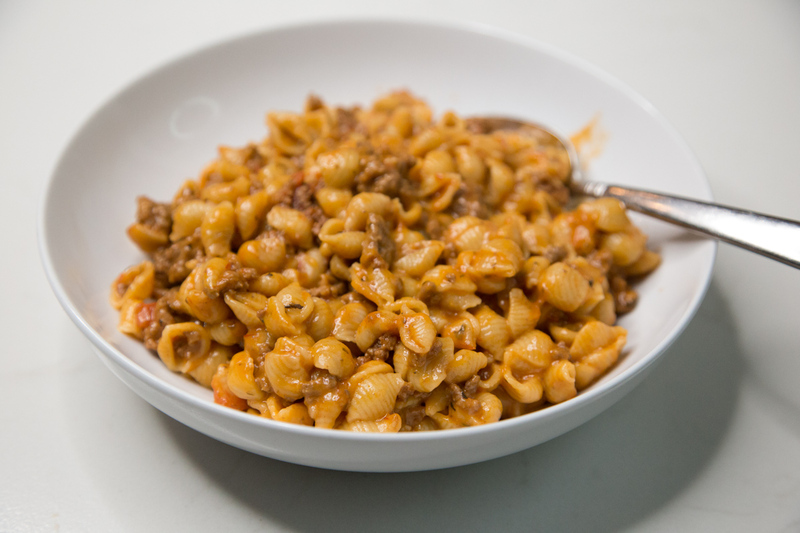 Serve Instant Pot Cheesy Goulash with side salad.